Located on the western banks of the Ranitopuni River, below the Riverhead Bridge, is an old mill site. Initially a timber mill, the mill was powered by water (1845-1856). Subsequently, the Waitemata Flour Mill was built on the same site in 1855/1856 and was operated by J. Brigham (until 1859). J. Lamb took over the site after Brigham and ran it until around 1888. 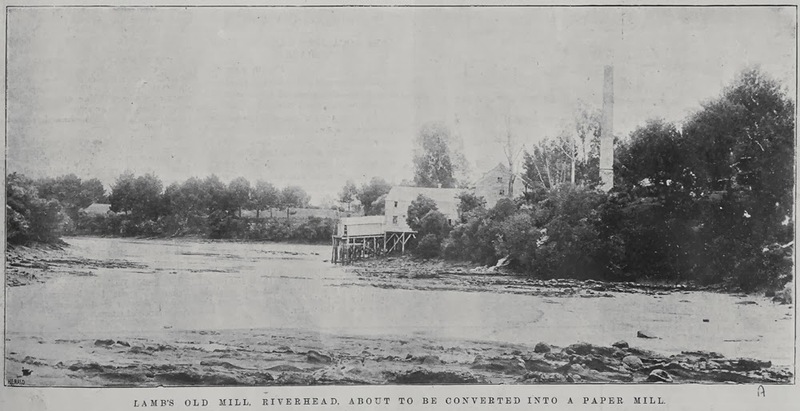 The mill was vacant for 2 years before the Riverhead Paper Mill opened and ran until its closure in 1923. The paper mill company that took over the site had examined several old flour mill sites before choosing the former Lambs Mill. The site was particularly attractive because of the plentiful freshwater supply and access to cheap harbour transport. Before opening, the mill under went major reconstruction. It was entirely steam powered, with coal brought up the harbour and unloaded at a special wharf at the site. The local community flourished as new workers cottages and service industries were established. 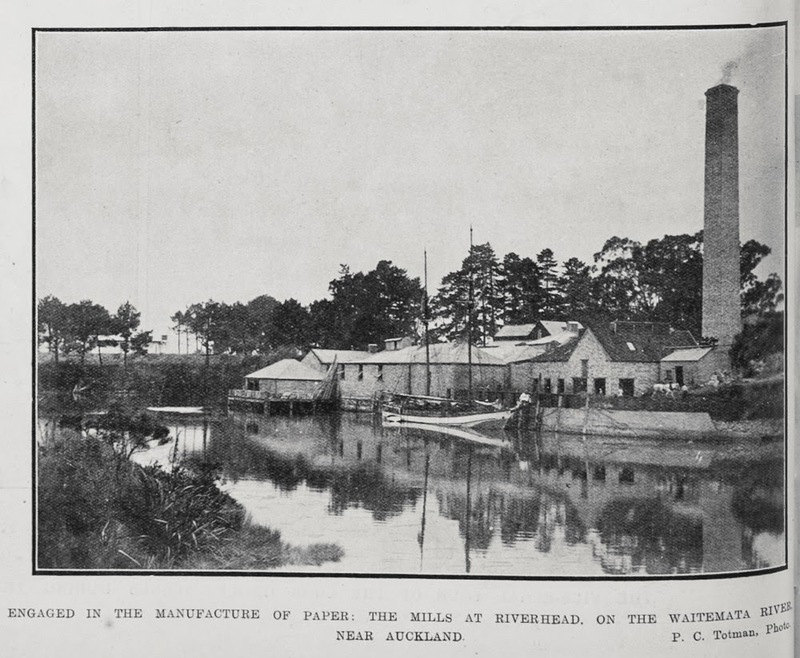 Due to fierce competition and financial difficulties, the Riverhead operation merged with two South Island mills in 1895 forming the New Zealand Paper Mill Company Limited. In 1909, the plant was modernised and had the most sophisticated machinery in the country. 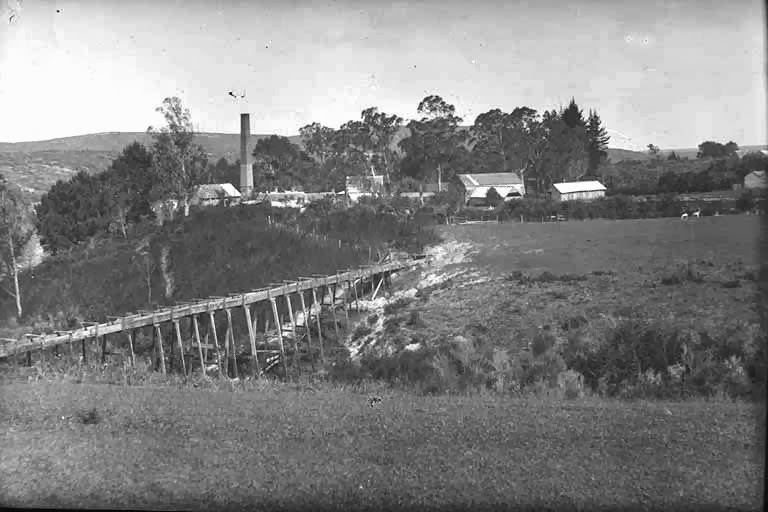 However in September 1923, the New Zealand Paper M ill Company Limited consolidated their operations, which included closing the Riverhead mill site and relocating to Mataura in the South Island. 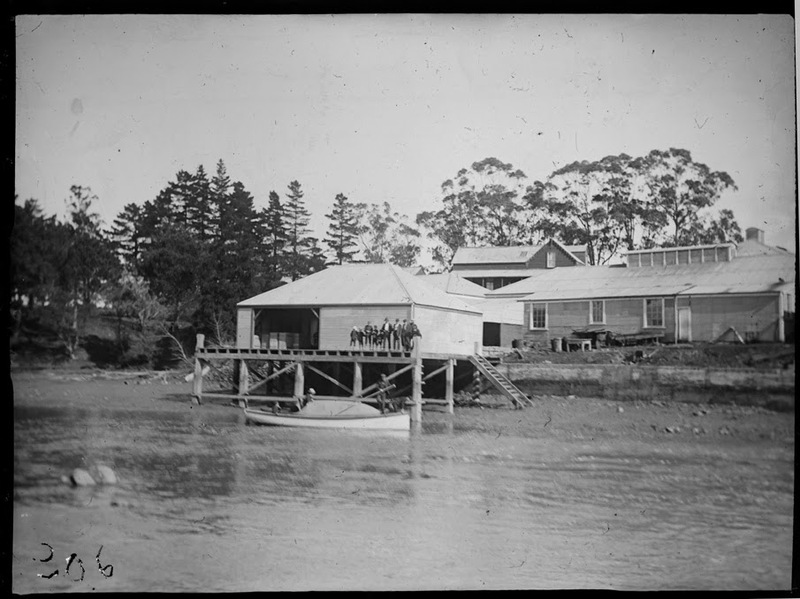 This site is regionally and nationally significant - at the time, it was the region's largest flour mill and NZ's second largest paper manufacturer. The mill buildings and wharf were removed in the late 1920s but you can still see their remains in the Riverhead Historic Mill Esplanade Reserve. Remnants include: an aqueduct holding pond, mill race, the foundations of a number of buildings, a stone retaining wall along the riverbank and the foundations of the 80ft chimney. Partially preserved by the Auckland Council Regional Plan: Coastal, the whole site is now proposed for protection by its inclusion in the schedule of historic places in the Proposed Auckland Unitary Plan. Read more about the mill and the Riverhead area.